"The University of Plymouth will give you the competitive edge which is necessary to get the job you want and to start a successful career." Find out why Justus Kannenberg decided to study MSc Business and Management at the University of Plymouth. Evidence has clearly shown that excellent business performance can only be achieved based on the right decisions underpinned by the effective management of knowledge. The ability to make good decisions is the mark of successful and promotable managers. This module introduces the major themes of integrated knowledge management and decision making (core concepts, processes, models), describing the key challenges of knowledge management and decision making under current business environment. It further develops an appreciation of knowledge management responses to decision requirements which need to meet the key challenges, and the important methods and technologies which can be used to support knowledge-based decision making. It will provide students with opportunities to develop key research, analytical and evaluation skills that would enhance decision makers' confidence in rational, evidence-based decision making to solve complex business decision problems. This module provides students with a broad overview of the environment in which the modern business manager will operate. It introduces available data sources and methods of analysis that can be applied to any specified industry and part of the world. In addition, the module aims to provide a foundation knowledge and understanding of the principles of accounting; examining published accounting information from a user's perspective. 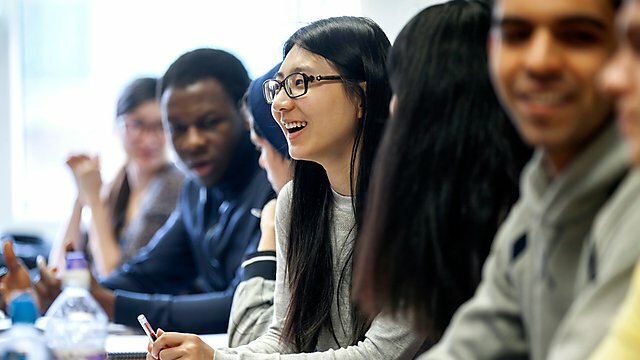 The module provides students with the opportunity to undertake a significant piece of independent research in which they demonstrate the acquisition of the knowledge, understanding, skills and abilities appropriate to the award of the MSC Business and Management degree, namely the QAA subject benchmarks and SEEC level descriptors. The purpose of this module is to enable students to create a deeper understanding of contemporary and futuristic global challenges within the broader field of entrepreneurship development. The module provides an understanding of human resource management. It takes a critical approach to exploring issues and challenges in identifying, utilising and managing employees within organisations. In particular, it critically assesses the concept and application of talent management at both national and international levels. Analyse the principles underlying procurement processes and strategies and explore the development and centrality of procurement as an integrated business function in supply chains, as well as its interaction with other functions and organisations. This module introduces students to a contemporary view of managing innovation, the development of new products and services. It is concerned with the study of the innovation and NPD process. It considers different theoretical and practical perspectives on effective innovation and NPD. It will examine the relationship between the innovation process and the use and management of technology, together with links to the development of marketing strategies and plans. An upper second class honours degree in any discipline, or an equivalent professional qualification. Other qualifications accompanied by substantial experience in an appropriate field may also be considered. Non standard applications will be considered on a case by case basis. If English is not your first language, you will need to have achieved at least 6.5 in IELTS or equivalent exams. For me, it was a great combination between a very supportive university, motivating lecturers, a great variety of optional modules, as well as a beautiful landscape and very kind people. I chose to continue my studies at the University of Plymouth following recommendations, as well as doing my own homework about its achievements, infrastructure, and support provided to its students. The MSc Business and Management programme is part of a suite of business and management programmes offered by Plymouth Business School these programmes cover marketing strategy, global supply chain management, leadership and the complex international business environment, with the opportunity to specialise in a specific subject area relevant to your current or future career. The MSc Business and Management with the University of Plymouth will provide you with what you need to stand out from the crowd. Ben Rhodes has spent the past five years as Chief Executive of Devon and Cornwall Business Council working as an advocate regional business building partnerships and driving the organisation forward. I would definitely recommend undertaking a course at the University of Plymouth: the lecturers are very helpful in helping to achieve your academic goals. Also, Plymouth is a very unique city with a lot of history, so the city offers a lot to students. I would not be where I am today if I had not attended the University of Plymouth. The skills and knowledge I learnt are paramount to the day-to-day and successful running of 51 Studio. iSPER is a leading research Institute at the University of Plymouth and is home to a number of themed areas relevant to the MSc Business and Management programme. Postgraduate students can take part in iSPER events and activities joining seminars from local and guest speakers from academic and business sectors.